No doubt many of you reading this see the Jewish people as still a unique and chosen people. Yet, when it comes to our attitude toward Judaism, many of us make the category mistake of thinking of Judaism as being a religion no different from other religions, and by extension, Jews who do not believe in Yeshua as being no different from other people when it comes to knowledge of God, spiritual experience, and covenantal standing. In feeling, thinking, speaking, and writing, many view Jews who do not believe in Yeshua as simply non-Christians, without hope and without God in the world, effectively pagans, even if religious ones. Such people have only two category slots: Christian and non-Christian. However, when we lump Judaism together with other pagan/non-Christian religions in this way, we slot the Jewish people into a category Paul applied not to Israel, but to Gentile pagans. It was the pagans not the Jews whom he termed “without hope and without God in the world.” Indeed, he said the pagans were hopeless because they were aliens from the household of Israel. You see, for Paul, God’s covenant people Israel was home base for the people of God. Nevertheless, without thinking things through very much, some regard Judaism as nothing more than another fruitless religion, no different categorically from Hinduism, Animism, Voodoo or Buddhism. They consider Judaism to be a dead, false religion, devoid of the Spirit, and its practitioners, wasting their time on a religion that in no manner please God, a religion than cannot mediate to them any measure of true knowledge and experience with Him. But something is very wrong here. Judaism is not a religion just like non-Christian religions or like rank paganism, any more than Israel is simply a people like all the others. Just as the Jews remain the chosen people, Judaism remains the context of this people’s trans-generational communal devotion to the God and Father of our Lord Yeshua the Messiah, and their covenantal bond with him. Can this be said of any other people and their religion? Of course not! No, the Jewish people are in a different category from any other people, and to think of their religion as simply just another non-Christian religion is sloppy thinking. And to think that way isn’t really biblical either. John Howard Yoder helps us, correcting this category mistake by referring to Judaism as “a non non-Christian religion” (see John Howard Yoder, The Jewish-Christian Schism Revisited, ed. Michael G. Cartwright and Peter Ochs. Grand Rapids: Eerdmans, 2003:147-159). We are not speaking here of a two-covenant theory, or of the alleged impropriety or superfluity of gospel proclamation to this people. That is not my point nor is it my position. 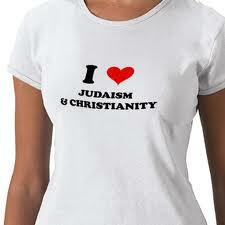 Rather, my point is that we ought to think of the Jewish people instead as a non non-Christian people. When we do so, we correct the category mistake of simply thinking of Jews as non- Christians, functionally equivalent to rank pagans, and Judaism as a fruitless and fundamentally false religion, equivalent to any other world religion one might name. How many Jewish mission newsletters would publish articles categorizing religious Jews as “earnestly worshipping [God] night and day?” How many would refer to the Judaism practiced by other Jews as “our religion.” None, I would imagine. And this is because their categories have changed from those of Paul. I think the above is a sad commentary on how many Jews who turned to Messiah throughout history may have found their spirits but they lost their souls. Here we see Paul speaking of “twelve tribes” who are TODAY worshiping day and night, in the present tense , i.e. no “lost tribes” who lost their identity as Israelites as they were scattered among the nations and now worship some foreign deities while waiting to discover their “true” identities (British Israelism/Two House mythology). The Israel of Paul’s day and of today is composed of Jews who represent ALL tribes of Israel and they worship the G-d of Israel as Jews, now and not later. I met Wurmbrand. An utterly remarkable, astounding man on every level, certainly both spiritually and intellectually. Prodigious. He was a great servant of God, and there are a couple of hundred Rumanian Jews in Israel who came to Yeshua-faith through his influence and that of his wife, Sabine. Of course he was also a product of his time and of the influences available to him then: most emphatically a Hebrew Christian, or even perhaps a Christian of Jewish background. But what a man. If only we had the opportunity, you and I, to sit down and walk him through a paradigm shift! I never got to because I was not yet ready for such a task when I met him. I would have loved to have met him – with you! As I read their stories, my heart aches for all the great Jewish followers of Yeshua of yesteryear who faced and sacrificed so much in their love for G-d and Messiah, and yet turned away from the faith of their forefathers as if it were rubbish. I continue to see this in many Jewish believers today day (as you noted in your post above), even though they have so much more access to information and so much more support. I know, it’s easy for me to sit here and project my current understanding on them. There’s nothing we can do for those who have long passed, but we can still make a difference for those Jews who are among us today. We Christians sometimes handle the subject of religion by defining “Christianity” (i.e. we Christians) in utter contradistinction to religion in its entirety, “Christianity is not a religion at all, it’s a one-on-one relationship with Jesus.”—a sort of, “This-world-is-not-my-home-anyway” or “When in doubt, op-out” approach to the world around us. And of course, both Jews and Christians have been defining themselves in contra-distinction to each other for a few thousand years now. Yet no one defines Christianity by first asking, “But is it Christian?” or Islam by first asking, “But is it Muslim?” or Buddhism by first asking “But is it Buddhist?” So what are we getting at when we ask, “But is it Jewish?” And who and/or what has the authority to ask and to answer this most peculiar question? That is to say, doesn’t Jewish identity (alone among all the other religions of mankind) precede its “Judaism” rather than follow from it? I don’t it’s supersession that’s the problem, as much as some very hard-and-fast rules about soteriology that are “infused like dye throughout the warp and woof of much Christian theologizing”, i.e. (1) if you don’t say this specific special prayer before the date of your death, you’re going in hell; (2) Jews don’t say that specific special, ergo . . . you know the rest. (And this is one or more lenient versions of soteriology floating out there in the church word!). The one great contribution of Messianic Judaism scholarship has made to the larger Body of Messiah has been to force the question about these soteriological constucts. If the Jews are God’s chosen and distinct people, and are still God’s chosen and distinct people, does he really plan “to bring them into the wilderness to kill them” by putting them in a position where they can’t accept salvation on gentile church terms? Is it possible that God can and will bring about a tikkun of devoted Jews not yet explicitly laid out in mainstream eschatological theory? Awesome post, Stuart. When I read writings like this, I am filled with hope for the future of MJ. The one particular thing that struck me from Acts 26 and your comments thereon is that this validates what we have been saying all along – namely that Yeshua did not come to start a new religion. Paul’s assertion elsewhere that “I am a Jew” is not merely a statement of his ethnicity, but an affirmation of his faith. 1. How it relates to “eternal destinies”, to use your phrase. I think soteriology is a largely a Christian construct, but it is something that has to be addressed, as the previous commentator indicated. 2. How we translate it to the present day. I share your rejection of the view that “Rabbinic Judaism is a false religion…”, but equally we need to consider the fact that the Judaism of today is different to the Judaism of Paul. 3. How it affects the vast majority of those who believe in Yeshua, who are goyim and are therefore “grafted in” to k’lal yisrael. (There’s probably many other issues as well, but these are all my little brain can think of at the moment). Thank you Rabbi Dauermann for continuing this conversation within the Messianic Jewish community. A few years ago, in a small room in Richmond, VA, I listened to you give a lecture on “The Jewish Mind” where you said you thought that Christianity and Judaism were spreading ever further apart. In this sense, I understood you to be suggesting that Messianic Judaism needed to be a movement that took its Jewish identity seriously. I am curious, after your reading of Yoder, if you still think this way. If so, would that be true of Ana-baptist communities like Yoder’s. Specifically, could a post-liberal, post-Constantinian, non-coercive ‘free church’ Christian community that took a Matthew 5 halakah seriously play a non non-Jewish role in a way similar to the Messianic Jewish community?